Le son légendaire JBL, conçu pour limiter en permanence le volume à 85 dB, sans aucun risque même pour les plus jeunes fans de musique. Un bandeau et des oreillettes solides aux couleurs vives, spécialement conçus pour leur petite tête. Un bandeau et des oreillettes rembourrés pour un ajustement poids plume. Un format compact et pliable associé à un câble plat d'un seul côté pour emporter sa musique partout. Les enfants peuvent personnaliser leur casque grâce au jeu d’autocollants fourni dans la boîte. Sûr, léger et adapté aux enfants, le casque JR300 JBL a été conçu spécialement pour divertir et offrir le son JBL légendaire même aux plus jeunes fans de musique. Il a été pensé avec un plafonnement du volume sonore à 85 dB, afin de garantir une utilisation sûre. Les enfants profitent d'un vrai confort grâce aux oreillettes et au bandeau rembourrés solides, spécialement conçus pour un ajustement poids plume et un confort optimal. Les enfants prendront aussi plaisir à personnaliser le casque grâce aux autocollants fournis. Les derniers modes d’emploi, des guides de démarrage rapide et autres documents. Chercher le résultat pour ""
JBL JR300 est évalué 4.6 de 5 de 69. Rated 5 de 5 de Ktpearpicker par Not just for kids I happened upon these while out shopping for a new pair of headphones. I often find adult headphones a bit big and bulky for my rather small head. A package was open in the store so i decided to test them out for size. They fit perfectly! The blue color is fun and vibrant and I have no qualms with the volume restriction. They sound, look, and feel great. For a fraction of the cost of adult JBL headphones these were a steal! 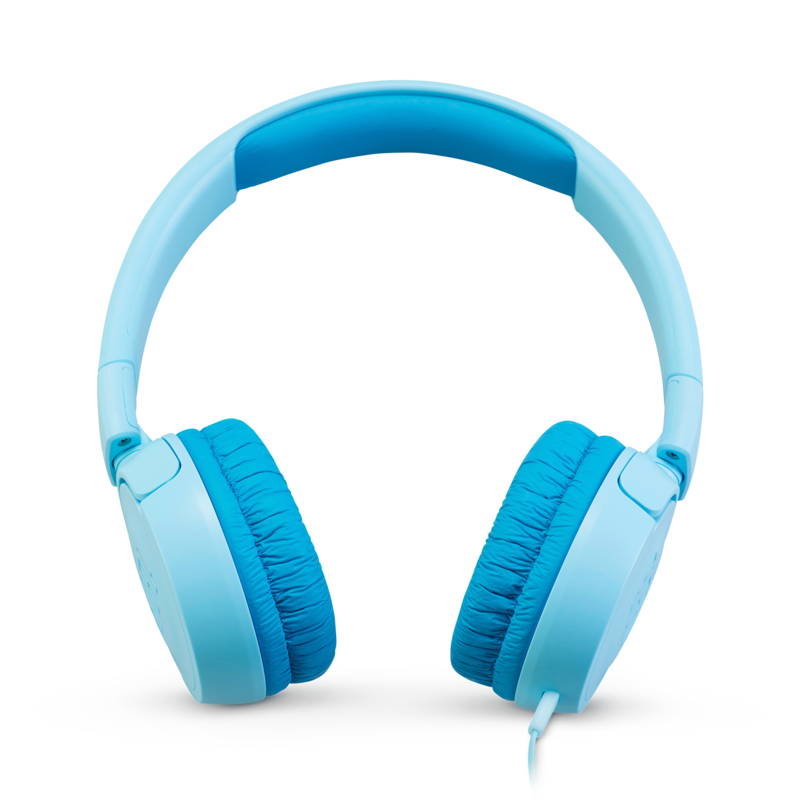 Rated 5 de 5 de malinjr par Excellent Choice For School-Age Children I bought these headphones for my 5 year-old son to use at school with the school issued IPad. 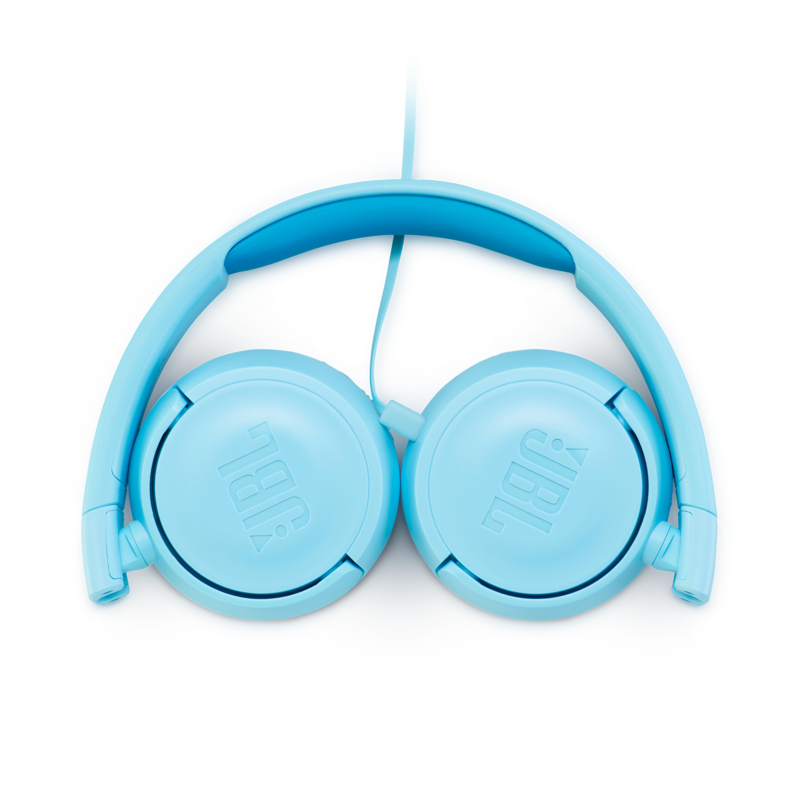 They are lightweight, stylish, and have excellent sound quality. One of the nicest feature is that there is a maximum volume limit which helps to protect his ears. Additionally, he really liked the fact that he could label these with his name using the included stickers. Overall, I believe that these are good value for the money! Rated 5 de 5 de kaitlin par Red and Blue! I bought these for my first grader. His school requested them on the supply list. They sound great at an excellent price point. Spider Red is red and blue. We highly recommend them! Rated 4 de 5 de LindaV par Zeer fijne hoofdtelefoon Wij hebben deze aangeschaft voor onze jongste zoon (7). Hij is dol op YouTube kijken en gamen, wij iets minder. Dus zijn we opzoek gegaan naar een alternatief. We hebben de goedkopere versies allemaal wel is zien liggen , maar ik wilde toch iets wat goed voor zijn oren was. Dus veiligheid en kwaliteit, na wat zoek werk kwamen uit bij deze leuke JBL , die hij zelf nog eens extra leuk kan pimpen door de bijgeleverde stickers. Onze zoon zegt dat hij prettig zit en als hij hem opheeft ons toch nog kan horen zodra wij hem roepen. Het geluid is duidelijk en helder en voelt goed en stevig aan.Onze kleine vriend is erg tevreden met zijn JBL hoofdtelefoon. 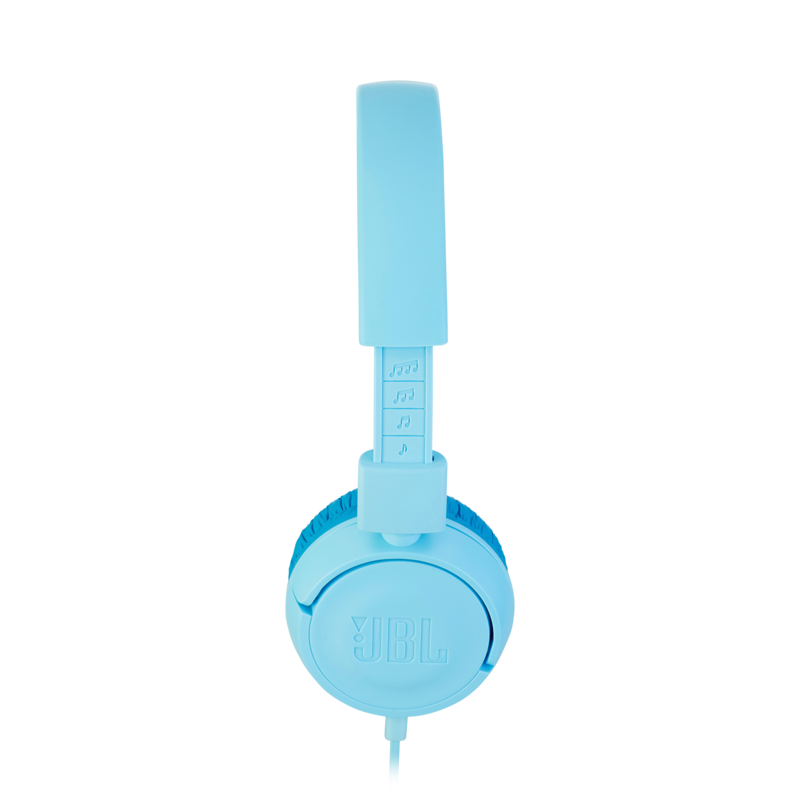 Rated 5 de 5 de Ccts par Perfect for 4 year old Ear buds just don't get it for those little ears so when my 4 year old niece got these Julie headphones she wouldn't take them off! She fell asleep with them on and when we tried to remove them she held them over her ears to keep them on and continued sleeping! Best gift ever for me too! Way to go jobless! Rated 5 de 5 de Dandog par JBL JR300 I bought these a month ago for my children to use with their tablets so I don't have to listen to all the rubbish blogs and families on YouTube that spend their entire life uploading videos about themselves that my children constantly watch all the time. They both think that they are really comfortable and look 'COOL!' (this I presume is another way of saying. "Great design, great looks and that you wouldn't be embarrassed if seen wearing them by your friends"). They have a good adjustment for different size heads. The thing that I like the best about these is the fact that the volume is restricted so that it won't burst their ear drums. All in all I would recommend these earphones to anyone with children. My youngest who is 2 years old wanted to try them on managed to take one of the ear sponges off. This was an easy fix to put back on so not worth knocking the product just for this. Bonjour CT15 Merci pour votre question. 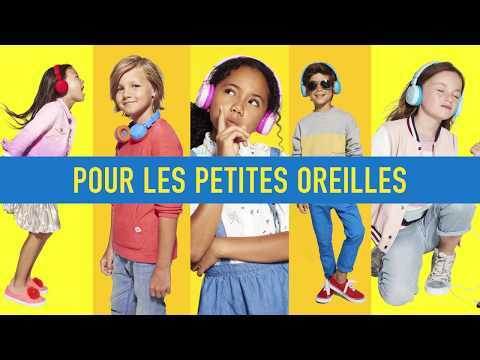 Malheureusement ces casques pour enfants n'ont pas l'option r&eacute;duction de bruit, je suis d&eacute;sol&eacute;e. Si vous souhaitez recevoir une assistance personnalis&eacute;e, nous vous invitons &agrave; contacter le Service Client&egrave;le Harman par t&eacute;l&eacute;phone, par mail ou par chat. Vous trouverez toutes les informations de contact sur https://www.harmanaudio.fr/support-contact.html#ns. Merci. can you use these headphones cordless ? Thank you for your question. No, this version only works with a cable. We do however have a Bluetooth version. 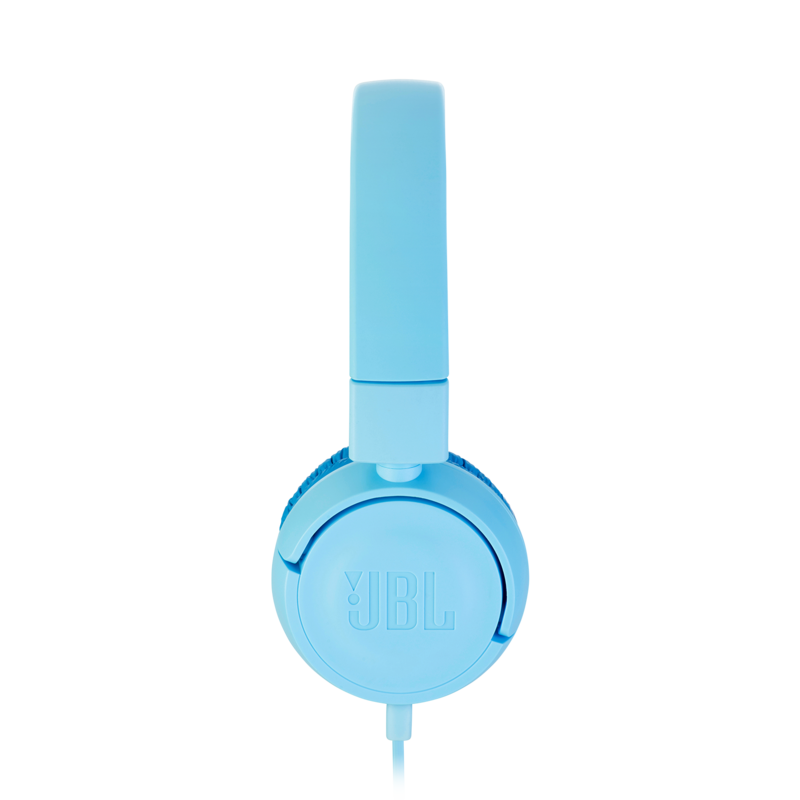 You can read more about that here:&nbsp;https://www.jbl.com/over-ear-headphones/JR+300BT.html&nbsp;If you need further assistance, please submit a case request at&nbsp;https://www.jbl.com/support-contact.html&nbsp;and the Customer Service Team will be more than happy to assist you. No, it is not possible to change the device Bluetooth name. What material is the soft padmade of? I understad that it is some sort of plastic but what kind? 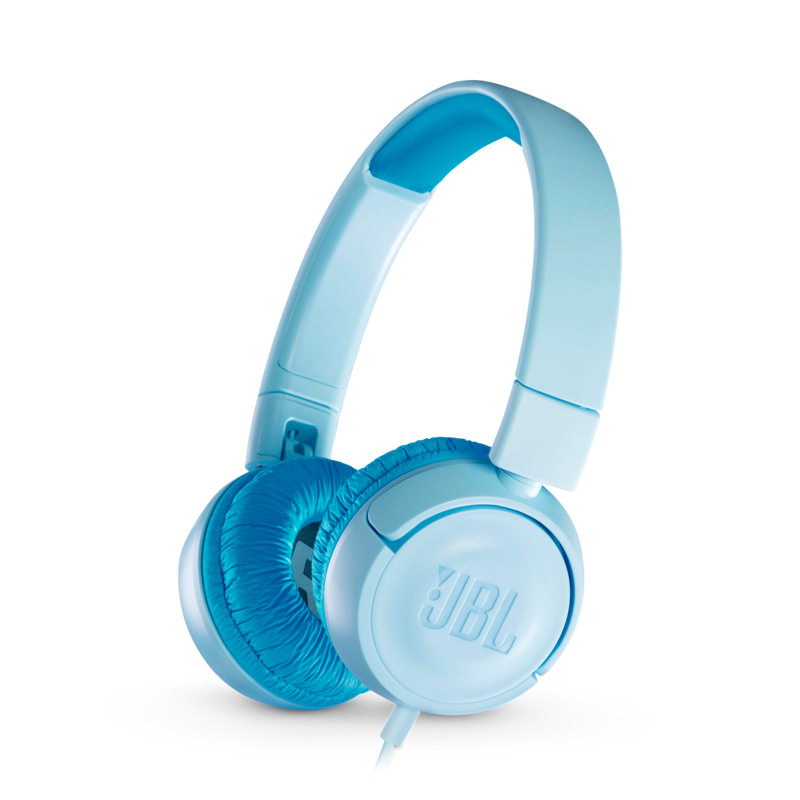 The Materials for the JBLJR300 are made with synthetic protein leather which is a non-animal leather. Finns dessa i olika storlekar? Kan inte se hur stora dom ar? Letar efter horlurar som passar ett litet huvud. Hej, og tak for din interesse! Der findes kun en version af disse hovedtelefoner, men de kan naturligvis justeres temmelig meget. Der er desuden konstrueret til b&oslash;rn, og passer til sm&aring; hoveder. Vi har desv&aelig;rre ikke nogen st&oslash;rrelsesangivelse p&aring; dem. Vi kan kun anbefale at du k&oslash;ber et par, og pr&oslash;ver dem p&aring; hovedet at barnet. Vores JBL netbutik tilbyder 30 dages fuld returret, s&aring; du kan sende dem tilbage, hvis st&oslash;rrelsen er forkert. What component in these headphones causes the need to have a warning label &quot;⚠ WARNING : Cancer and Reproductive Harm&quot; on them? This warning is made in compliance with Prop 65. For the wired model, does the cable unplug from the headset? In order to store the cable separately and avoid damage? Unfortunately, the audio cable for the wired model is not detachable. Pas complètement satisfait de votre achat? Vous pouvez le retourner sous 30 jours à partir de la date d’achat. Nous utilisons des cookies pour améliorer votre utilisation de notre Site. En poursuivant votre navigation, nous présumons que vous acceptez l’utilisation de cookies sur cet appareil (loi "Informatique et Libertés " du 6 janvier 1978). En naviguant sur le site Harman Audio vous acceptez l’utilisation de cookies comme décrit dans notre politique de cookies.